Established in 1981, VIVEK CHEM FABS are known as the pioneers in the field of manufacturing, exporting, importing and supplying industrial and process equipment such as Pharmaceutical Processing Tanks, Ribbon Blender, reaction vessels, pressure vessels, heat exchangers, (Finned Tube, Shell - Tube Pipe to pipe type) Thermic Fluid Air Heaters, Manufactured in S.S, M.S, Copper, Aluminum, Brass, Cupro nickel, Edible Oil Refinery Plant, Sugar Melting Tank etc., for the last three decades. Being a master in our field, our main motto has been to serve the market requirements in a professional way leaving nothing to chance. As a part of fabricator industry, we are committed to produce the best equipment and machinery parts, which are further used across chemical and petrochemical industry. Our dedicated workforce and personnel are highly skilled and qualified due to which they are successfully able to meet set targets and manufacture products that are highly appreciated in the market. Manufacturing products according to the approved industry standards and norms is our major priority. We credit the success of our company entirely to our customers and hence we are constantly striving hard to achieve maximum customer satisfaction by offering them only high quality products. 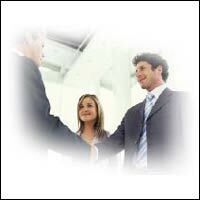 We have been successful in serving all major national and international companies.